Why HBA? | Is Bowling Your Career Choice? If you dream of a career in bowling, Coach Bill Henson has the bowling knowledge and the skill in teaching to show you the way. He has been there and done that! It is now his life’s mission to confer that knowledge to select young bowlers who aspire to bowling greatness. (Click here to view Coach Henson’s credentials.) There is no shortcut to greatness… how hard you work will, of course, determine your results! The Henson Bowling Academy (HBA) is the equivalent of a college degree in bowling. We will prepare you with the skills and motivation tools to achieve your bowling dreams. 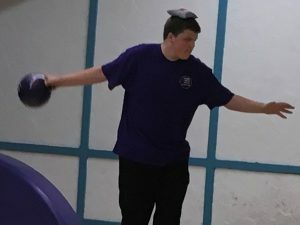 Excel on a High School bowling team on a College bowling team? Make a Team USA squad? To gain a deep understanding of equipment, oil patterns, lane machines, etc. To earn belts, like in martial arts, that signify progression through the program. A BLACK belt will be difficult! You will receive personal attention outside of the workshops by your Faculty Advisor who will conduct twice monthly feedback sessions with you, coordinated with your private coach if you have one outside of the HBA. Each month, at no additional cost, you can have two 1-hour private lessons with your Faculty Advisor at Sequoia Pro Bowl. We will assist you through the college recruiting process, when the time is right, if that is in your plans. If you are ready for the challenge that will prepare you for a career in bowling, contact Coach Henson by emailing info@HensonBowlingAcademy.com or by phone at 614-774-3002. We want to help you become a Bowling Champion!